THE SITES ARE "Que", "donate", "TLSN", "Articles", Events, "SPORTS", "MISSIONS", "fan site" , "LOST TOO SOON", AND "SENTRY"
John Edward "Jack" Chevigny 1935-1937 Pending more Info. Jack Chevigny history is covered in the "football" section on the TLSN website. 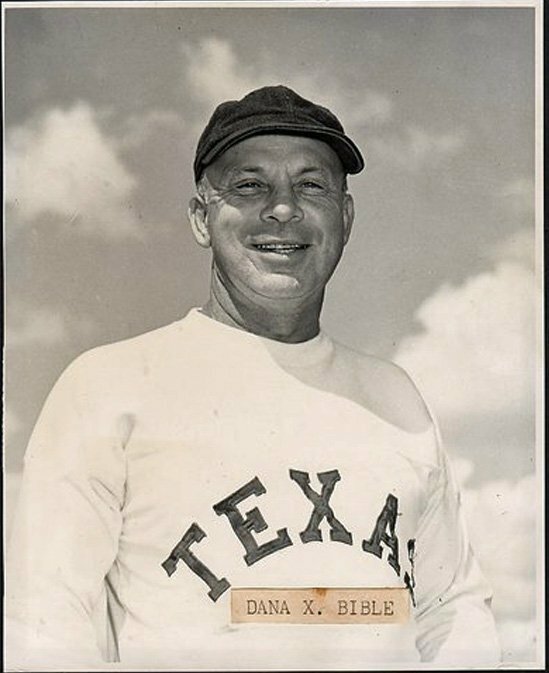 Dana Bible's history is covered in the "football" section on the TLSN site. Olle in two years earned 6 letters. Two each in football, basketball, and baseball. He was the first winner of the Norris Trophy which honored the best athlete at Texas. Wikipedia states that Ed Olle played for Texas Longhorns men's basketball head coach E. J. "Doc" Stewart and for Texas baseball head coach William J. "Billy" Disch. He received all-Southwest Conference honors in baseball in 1926 and 1927. Ed joined UT administration in 1929 as the business manager for intercollegiate athletics and secretary to the Athletic Council. 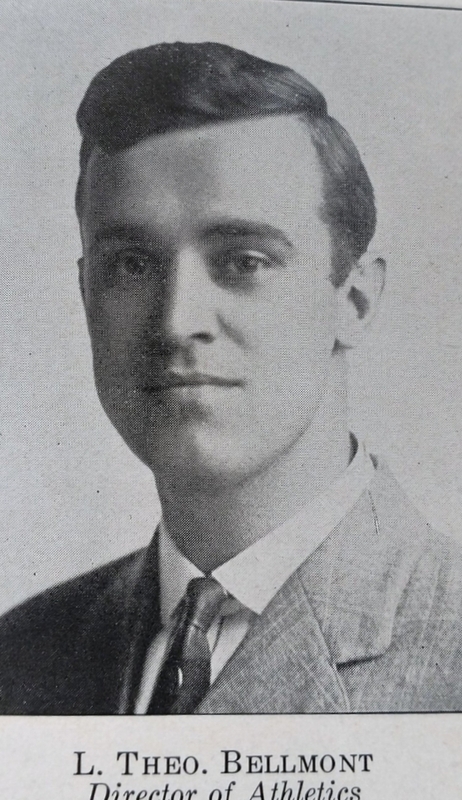 Olle would go on to coach the Longhorns in basketball (unpaid) for three seasons (1931–34) following the departure of "Mysterious" Fred Walker in 1931. His first year the basketball team record was was 19-1. His 1932–33 team finished the season as Southwest Conference champions with a 22–1 overall record and would many decades later receive retroactive recognition as that season's national champion in the Premo-Porretta Power Poll (the team playing as it did in an era preceding the existence of national basketball tournaments or polling). In 1956 Ed Ollie was hired as UT Athletics remained in that position until 1962. Darrell K. Royals life work is covered in detail in many other sections on this website. Betty Thompson had the responsibilities of the Athletic Director but not the title. She was a faculty member at Texas who was hired as the Director of Women's Intramurals. In 1973 Men and Women intramurals were combined under the "Division of Recreational Sports with Betty Thompson as Director. 1974- She was responsible for converting 7 club sports to varsity sports. She hired Rodney Page for women's basketball and Pat Patterson of women's swimming. 1975- Betty Thompson moved all administrative functions of the Division of Recreational Sport from Anna Hiss Gym to Gregory Gym Annex. Betty Thompson made major contributions to support Title IX. She established the first annual budget for the Women's Athletic Department which totaled $94,850. Less than the football programs annual phone bill. The UT President reduced the women's budget to $50,000. Betty Thompson as Director won the Babe Didrikson awards for Best Athletic Department in 1975 and 1976. To learn more about Betty Thompson visit the navigation page search for "pioneer" then visit Betty Thompson's site. As an athlete Donna participated in 26 national championships in four sports and is a nine-time All-American at four different positions in softball. While playing for the Brakettes, she compiled a career record of 183–18. She delivered 1633 strikeouts in 817 innings, for an average of just under two per inning. She finished her Brakettes career in the top ten of several categories including hits, RBIs, runs and home runs. Dr. Donna Lopiano was the University of Texas women's athletics director from 1975 to 1992. she was able to build The University of Texas into a model women's athletic program winning 18 national championships and producing more than 300 All-Americans. She is a member of the University of Texas Women's Hall of Honor and Texas Women's Hall of Fame. a college coach for men's and women's volleyball, women's basketball, and women's softball. The Longhorn Foundation is spearheading the Mary Ann & DeLoss Dodds Campaign to specifically support former student-athletes who seek to return to campus and complete undergraduate or postgraduate degrees. If you can help fund this worthy cause, please make a donation to the Mary Ann & DeLoss Dodds fund at TheLonghornFoundation.com/Dodds. Deloss Dodds- "We are the Joneses"
Dodds attended college as a scholarship track athlete and he won the conference championship in 1959. 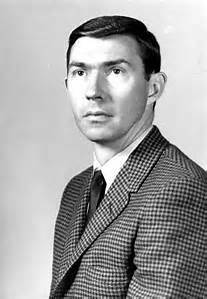 He was the head track coach of Kansas State from 1963-1976 and won 6 Big Eight championships- four in cross country and two in indoor track and field. He was promoted to athletic director of Kansas State in 1977 and resigned in 1981 to join the Longhorns. generates more revenue and brand awareness than any other University . 2011 is the Sports Business Journal Athletic Director of the Year. MANHATTAN, Kan. – K-State Athletics announced today it will honor former Wildcat standout student-athlete, coach, and athletics director DeLoss Dodds by holding an annual track and field meet named in his honor, the DeLoss Dodds Track and Field Invitational. The inaugural invitational will take place Jan. 23-24 and will be the fourth of five total home meets for the Wildcats during the 2014-15 indoor season. Head track and field coach Cliff Rovelto, who also spoke at Friday’s event, said the honoring of Dodds was an appropriate one. Chris Plonsky is elected as NACDA President for 2016-17. "It is an honor to serve NACDA, its membership and Executive Committee," Plonsky said. "We are enjoying record levels of diversity, engagement, and participation in all NACDA organizations. This is a critical time in collegiate athletics. NACDA members are committed to working every day to enrich and enhance every student's collegiate educational experiences, personal leadership development opportunities and competitive aspirations. NACDA, now in its 52nd year, is the professional and educational association for more than 12,500 college athletics administrators at more than 1,600 institutions throughout the United States, Canada and Mexico. More than 6,500 athletics administrators annually attend NACDA & Affiliates Convention Week. Additionally, NACDA manages 17 professional associations and three foundations. We are especially pleased to continue collaboration with the NCAA staff, members of the Division 1A AD Association, NACWAA and the 17 affiliate associations under the NACDA umbrella." Plonsky served on NACDA's Executive Committee from 2002-04 and again in 2014. She also was the 1st Vice President during the 2015-16 term. Her past NCAA committee work includes service on the NCAA Committee on Academic Performance (CAP), the NCAA President's Task Force on Commercialization and five years with the Division I Management Council (chair from January 2003-April 2004). Plonsky also is a former board member and president of the National Association of Collegiate Marketing Administrators (NACMA) and was a 2003 NACMA Hall of Fame inductee. Plonsky has served as UT's third women's athletics director since spring 2001. In this time, Longhorn women's sport programs have recorded three NCAA Championships (2005 outdoor track and field, 2006 indoor track and field and 2012 volleyball) and a league-best 54 Big 12 Conference championships across 10 different sports. This total includes five league titles during the recently completed 2015-16 season (volleyball, indoor track and field, swimming, rowing and outdoor track and field). The Longhorns' 11-sport women's program provides competitive and educational opportunities for more than 190 women student-athletes, including walk-ons. Since 1993, Plonsky has worked with staff and vendors responsible for television, corporate sponsorship, communication, brand stewardship and revenue generation to support Texas men's and women's athletics. She is the contract liaison with Texas Athletics' multimedia rights and sponsorship sales agent IMG College. IMG College's sponsorship sales for Texas Athletics and the Frank Erwin Center rank among the highest in the nation and feature digital media, consumer and retail promotions, radio, internet and video. In August of 2016, The University of Texas, IMG College and world-wide sports leader ESPN will begin year six of collaboration on Longhorn network, a linear tv channel dedicated to Texas athletics and academic programming. LHN produces more than 170 live events annually. Rights fees from LHN are distributed to Texas Athletics and to University President Gregory L. Fenves for use in establishing academic chairs and programs. Plonsky also supervises UT's trademark and licensing staff. In 2015, UT and Learfield Licensing Partners collaborated on a new licensing model, including sideline partner Nike and master licensee 289C/Dallas Cowboys Merchandising. Texas has been among the national leaders in trademark royalty generation since 2005. The University of Texas named Mike Perrin its men's athletics director with a contract to fill the role through the 2017-18 school year. "Since Mike became interim AD, he has proved to be a resourceful and valuable asset to the athletics department, improving relationships with our fans and alumni," Texas President Gregory L. Fenves said in a statement. "His experiences as a student-athlete and a successful lawyer, and businessman have given him unique insight that complements his strong leadership. I am confident Mike will continue bringing positive change and pride to our Men's Athletics Department." Perrin succeeded Steve Patterson on an interim basis after Patterson's resignation Sept. 15. "I am excited to continue the work I've begun over the past three months in moving Texas Sports forward, and I thank President Fenves for this opportunity," Perrin said in a statement. "I am already working closely with coaches in all sports to provide the support they need to win on the field and prepare their students for life off the field. And I have been humbled and overwhelmed by the backing I've received from alumni, faculty, and fans." Perrin played football for the Longhorns under coach Darrell Royal in the 1960s and has a bachelor's and law degrees from the university. Perrin is a career attorney and has been a partner in multiple law firms. AUSTIN, Texas -- University of Texas president Greg Fenves announced Thursday that he is taking the interim tag off men's athletic director Mike Perrin and extending his contract by two years into 2018. Perrin, an attorney and former Longhorns football player, was hired in September after Steve Patterson was forced out after less than two years. Perrin was initially hired on a one-year contract for $750,000. According to Fenves' office, Perrin's salary will remain the same and he will be an at-will employee without a formal contract. Patterson had a guaranteed contract worth at least $1.4 million per year, which forced a settlement for $3 million from Texas when he resigned under pressure. A Fenves spokesman said the president has the discretion to make the move and that it will not require approval from the university's board of regents. "Since Mike became interim AD, he has proved to be a resourceful and valuable asset to the athletics department, improving relationships with our fans and alumni," Fenves said. Since Perrin's arrival, Texas has reached a new $250 million apparel and licensing contract with Nike and announced it would not raise football season-ticket prices for two years.